As of June 2014 (see photos below) Enderby House and the cable gear on the adjacent wharf had a very uncertain future, and in the years since then there had been little progress until fairly recently. 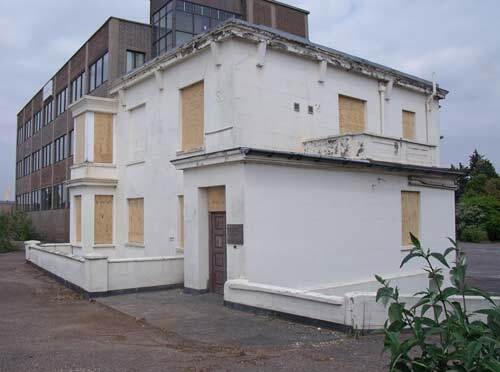 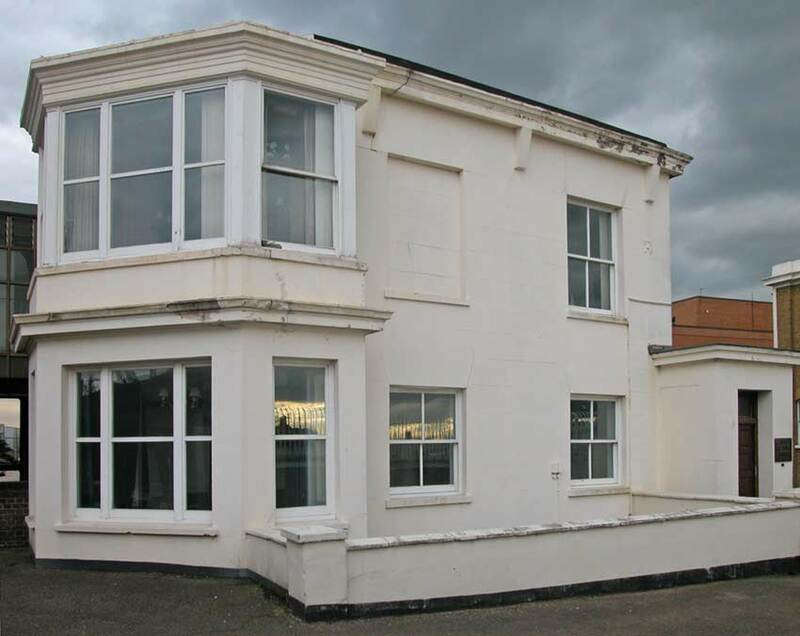 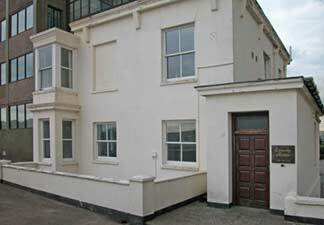 Due largely to the efforts of a local group which was formed to publicize this sad situation and to work with Greenwich Council and the site developer towards the preservation of Enderby House and the wharf, the future of the building is now assured. 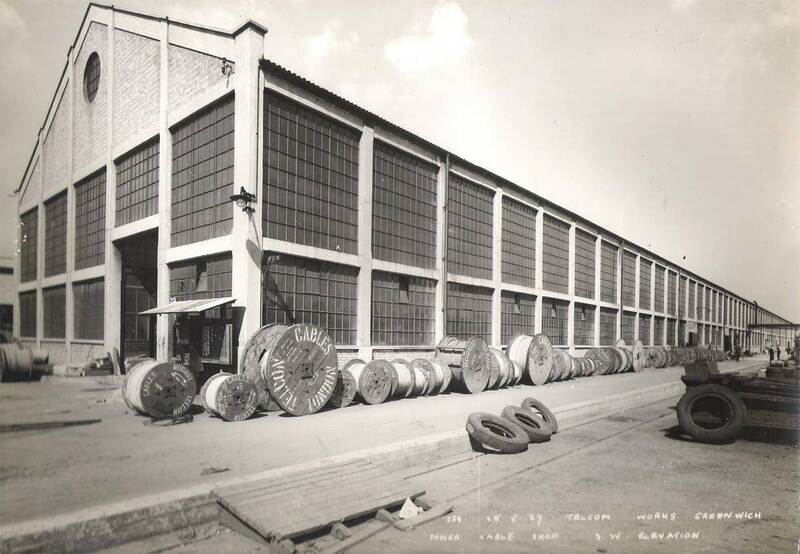 As of July 2018 restoration is under way and an outdoor plaze with a cable history theme is under construction. 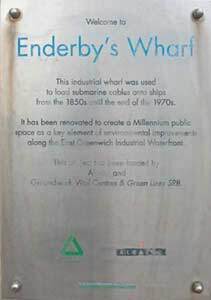 More information, news, and contact details are at the Enderby Group website. 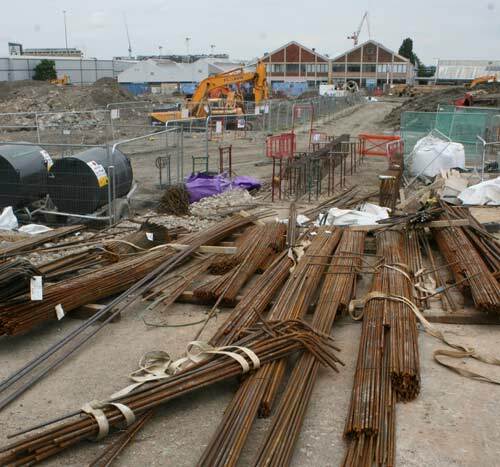 This January 2016 article on the A London Inheritance website places Enderby Wharf into context with the industrial area surrounding it, now being extensively redeveloped. As of early 2019, although the final use of Enderby House is not yet certain, the building has been restored, and Lay Lines, an art installation representing the history of subsea cables has been constructed in the plaza. 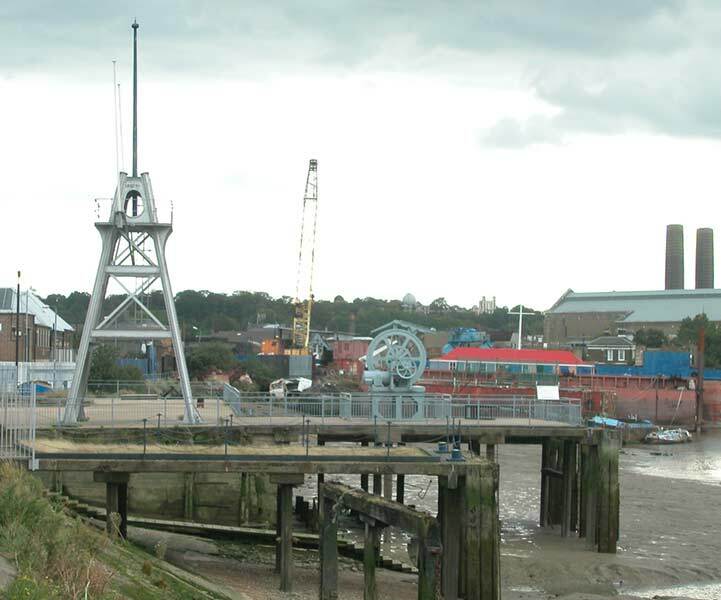 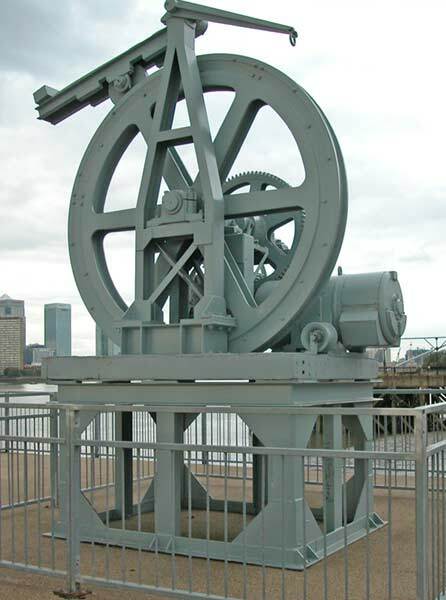 More information on the status of the property may be found at the Greenwich Industrial History Society's blog. 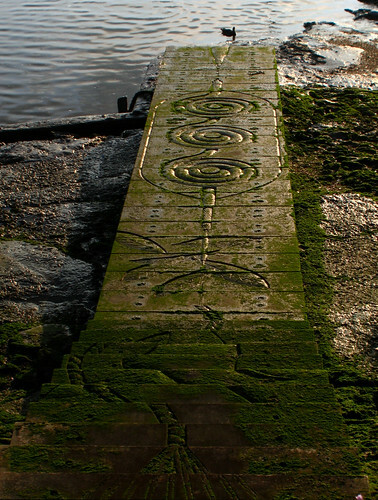 These booklets may be downloaded for personal study and research or educational use. They may not be copied and/or printed, in part or in whole, for any other purpose. Established in the 1700s, the industrial area on the east side of the Greenwich marsh had expanded down river by the early 1800s. 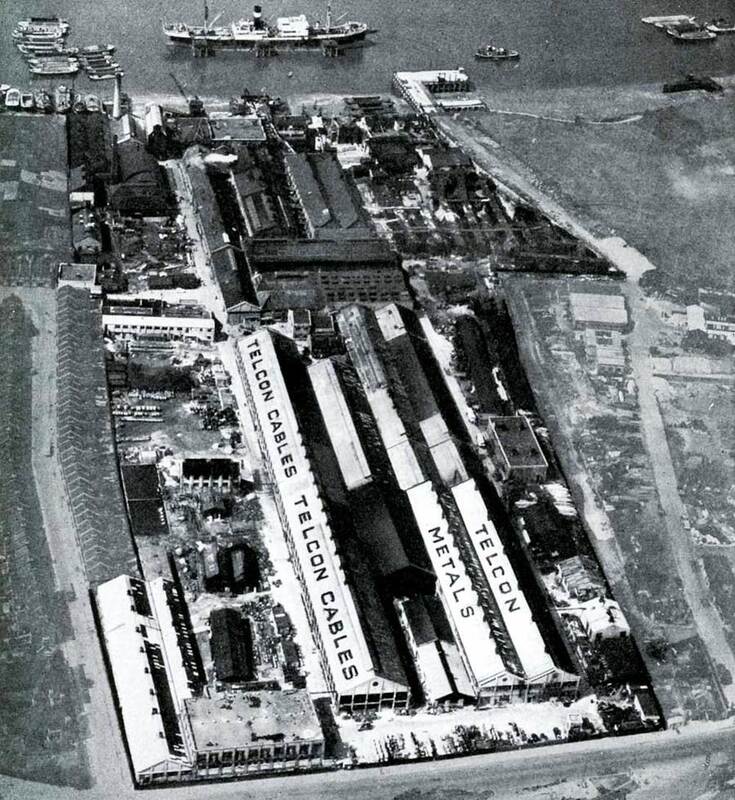 The site on which a gunpowder store had originally stood was acquired in 1829 by the Enderby family, Bermondsey tanners who had made money from a white lead manufacturing process and then married into the whaling trade. 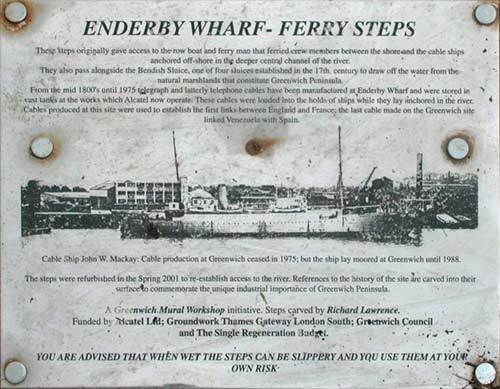 On this site in Greenwich, less than a mile from the town centre, the Enderbys built a ropewalk (a long work area used for making ropes) and a factory for making sails and cordage, Enderby's Hemp Rope Works. On the riverfront they built Enderby House, dating from the early 1840s, although the exact date of its construction is not known. A tithe map of 1840 shows the site with its long ropewalk, but does not yet include the house; a newspaper report of a fire at the site in 1845 reports damage to the house, so it must have been built some time in the intervening five years. 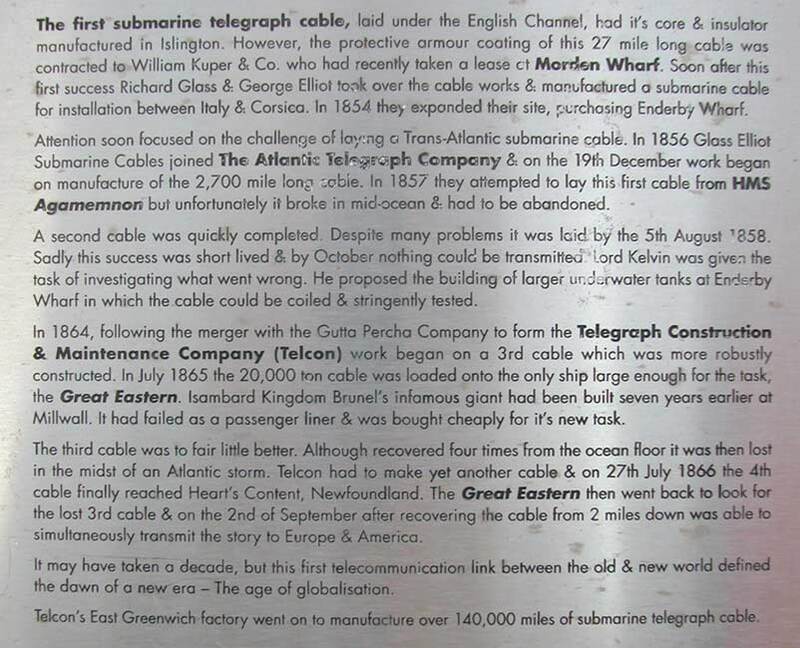 In the 1850's the site was bought by Glass Elliot, a pioneering company in the the new submarine cable industry, and here the first Atlantic cable was made. 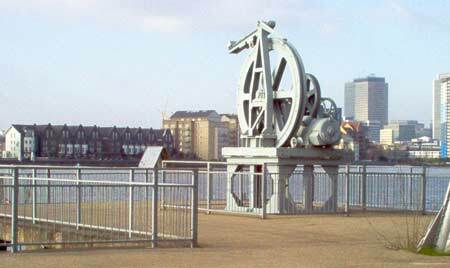 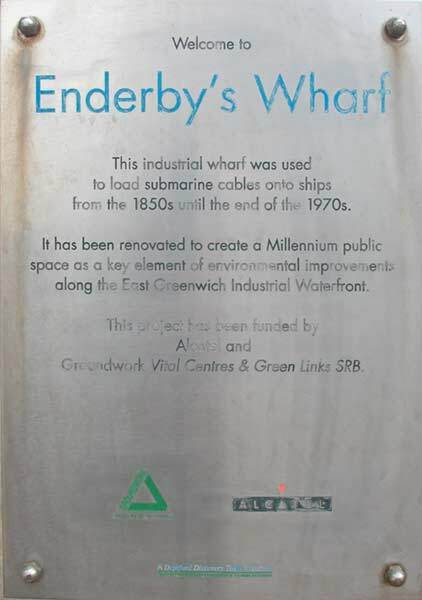 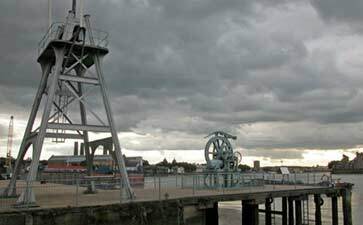 Submarine cables were made at Enderby's Wharf until 1975, and part of the site is still in use today by its present owner, Alcatel Submarine Networks. For a more detailed history of the site, see Allan Green's article: 150 Years Of Industry & Enterprise At Enderby's Wharf and this 1949 article on Enderby House from the Telcon house magazine. SCL publicity photograph dated 23 August 1965; Aerofilms image number A150430 marked on the back of the print. 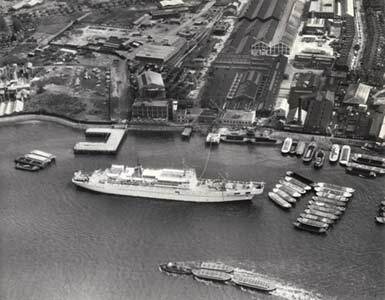 Britain from Above has a series of aerial views from 1946 taken in the opposite direction. 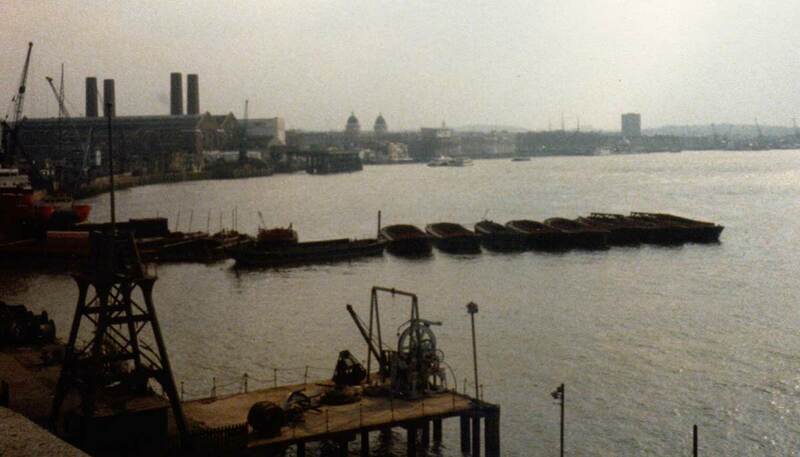 up-river from the east bank of the Thames. taken their toll. 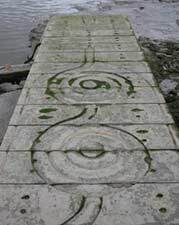 These descriptive plaques are weathered and paint-sprayed. 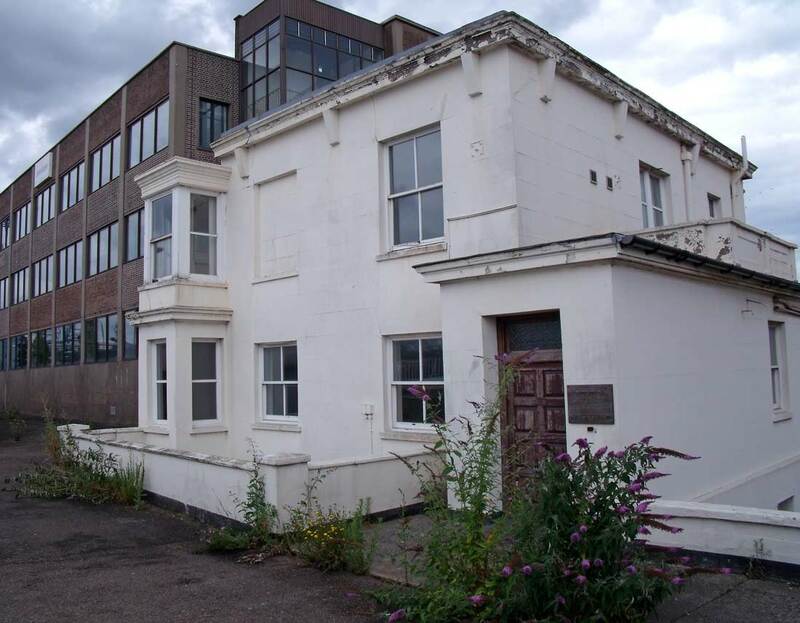 Despite its listed building status, the owners of Enderby House are doing little to maintain it. 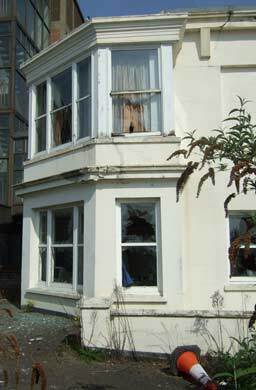 This photograph taken by David Watson in 2009 shows very obvious deterioration in the five years since my photographs above. 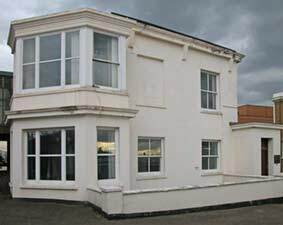 In May 2011 Enderby House is now far worse. Most windows are broken, the door is hanging open, paint is peeling, the grounds are unkempt and littered, and the building is in generally poor condition. 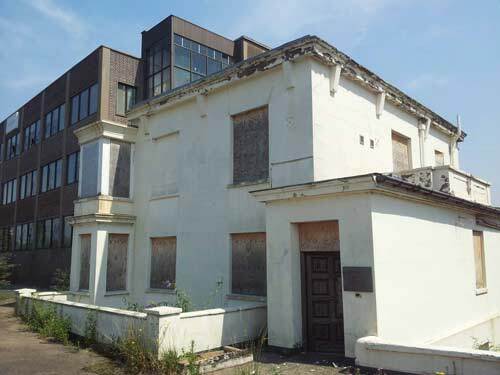 After seeing the deplorable condition of the building, I emailed Rebecca Duncan, the Senior Conservation Officer at Greenwich Council. 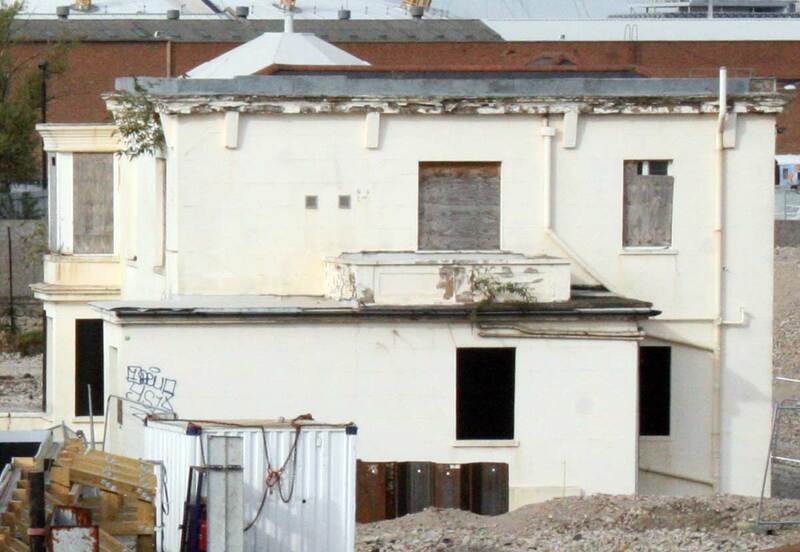 She immediately took steps to require the site developer to secure the building. 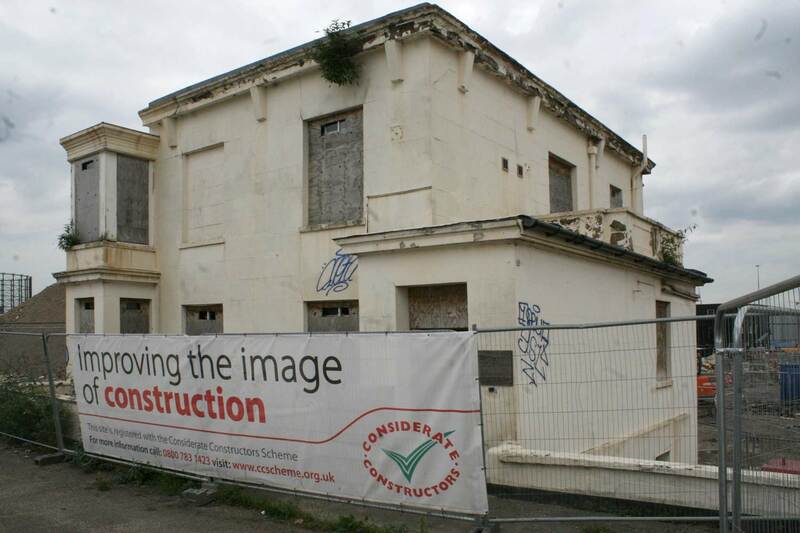 David Watson's June 2011 photograph above shows the present condition. Sadly, nothing good happened in the following year. This August 2012 photograph by The Greenwich Phantom shows further deterioration; the door is unsecured and the property is open to vandals. 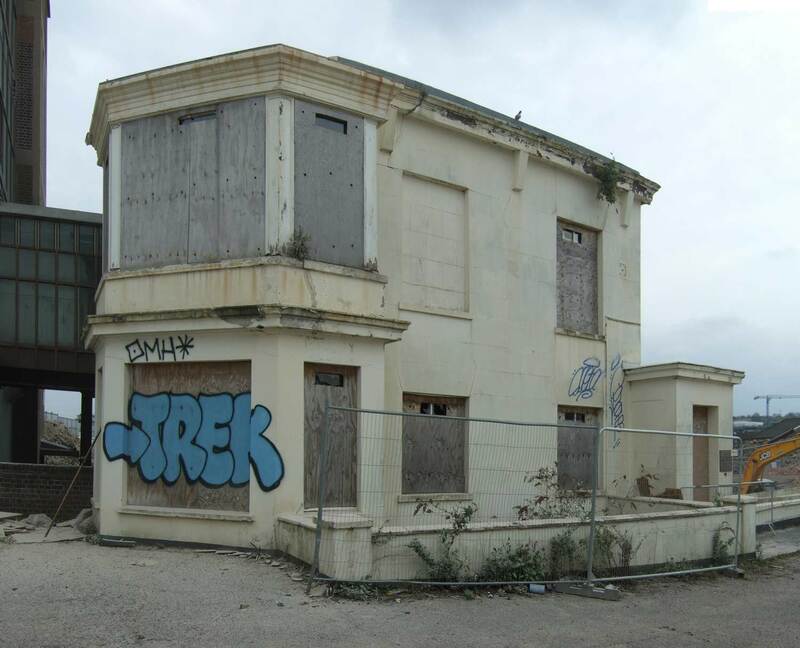 The house has deteriorated even further, and is now covered in graffiti. Demolition is proceeding all around the building in preparation for the redevelopment of the site. 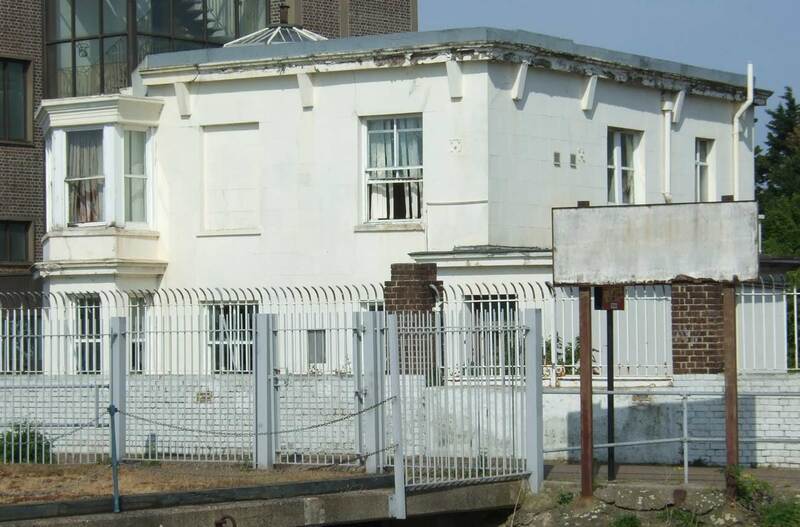 A view of the west side of the house. 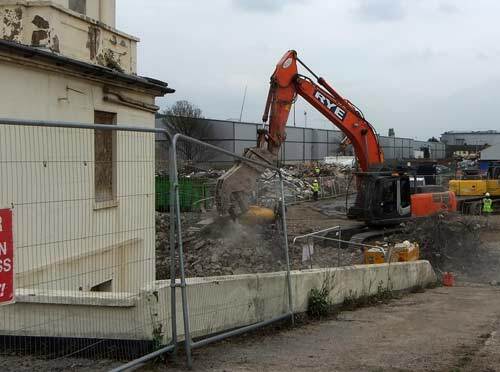 Demolition is complete, and the site is being prepared for the new construction. 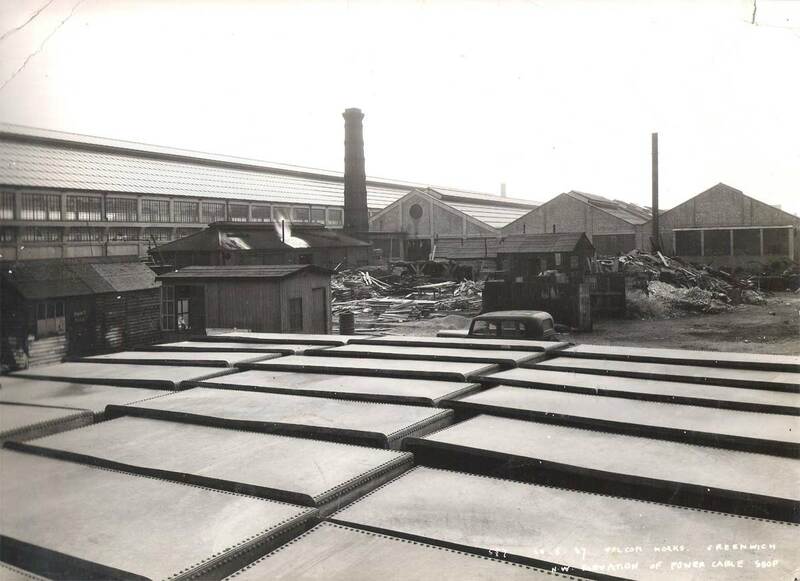 The remaining Alcatel-Lucent factory can be seen in the distance. 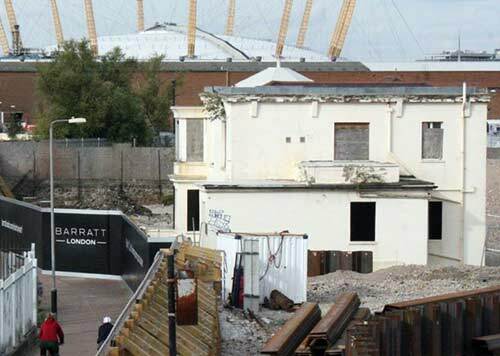 The construction site now has a fence separating it from the Thames Path. The condition of the building remains unchanged. 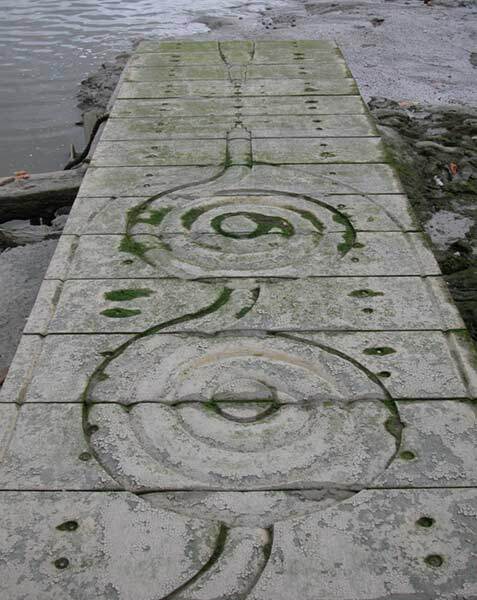 "The green water of the Thames today laps freshly-carved steps depicting the rich industrial heritage of the Greenwich Peninsula. The Enderby Wharf Ferry Steps are now owned by telecommunications giant Alcatel and their refurbishment was an initiative of Carol Kenna from Greenwich Mural Workshop. 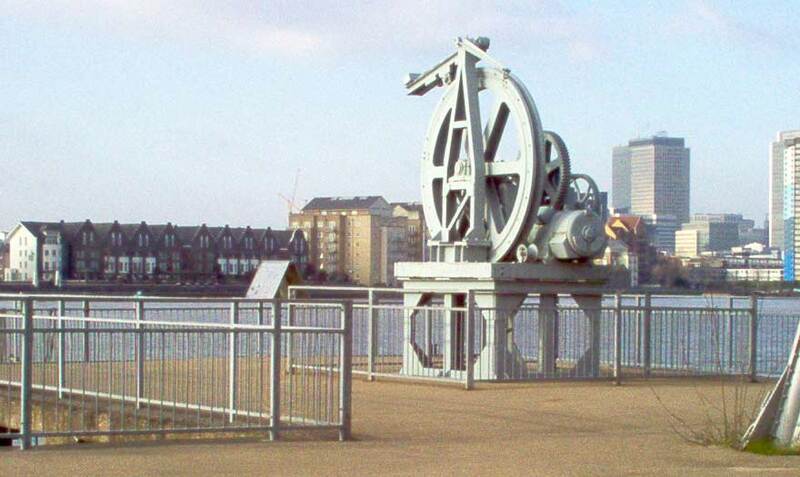 The official opening took take place in September 2001. 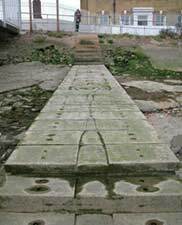 "Historically, the steps were used by the ferrymen who rowed crew out to the cable ships. 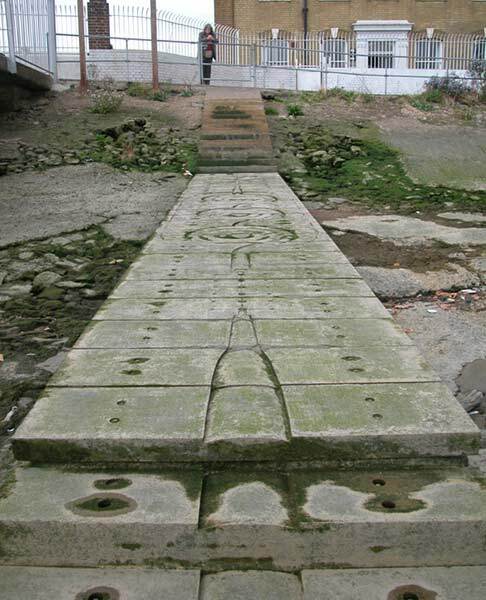 The new steps were carved by Deptford-based sculptor Richard Lawrence, funded by the environmental regeneration charity Groundwork, Alcatel and Greenwich Council." 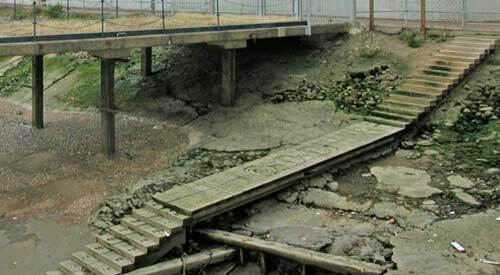 The Greenwich Phantom published an update on the steps in August 2013. 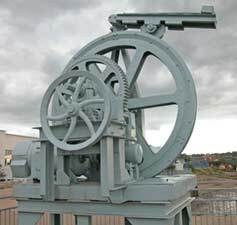 This repeater is of the type that is used in transoceanic telecommunications systems. 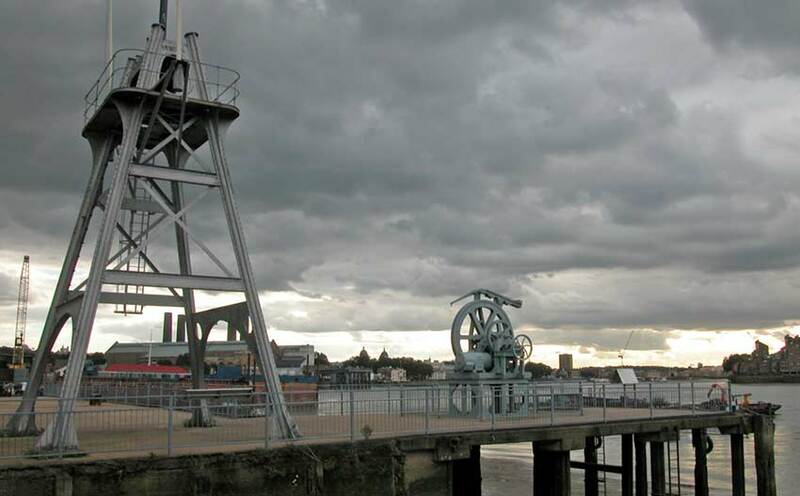 The repeaters are spaced approximately every 50km along the cable and contain optical amplifiers which boost the optical signal that is being transmitted. 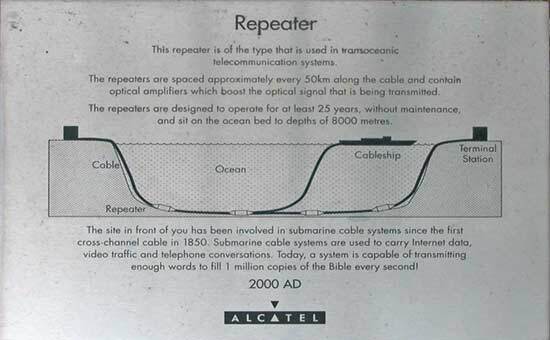 The repeaters are designed to operate for at least 25 years, without maintenance, and sit on the ocean bed to depths of 8000 metres. The site in front of you has been involved in submarine cable systems since the first cross-channel cable in 1850. 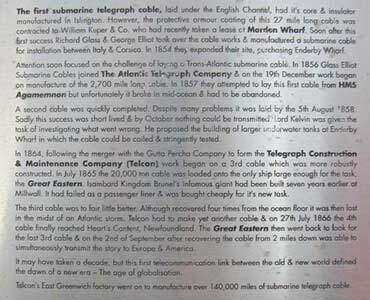 Submarine cable systems are used to carry Internet data, video traffic and telephone conversations. 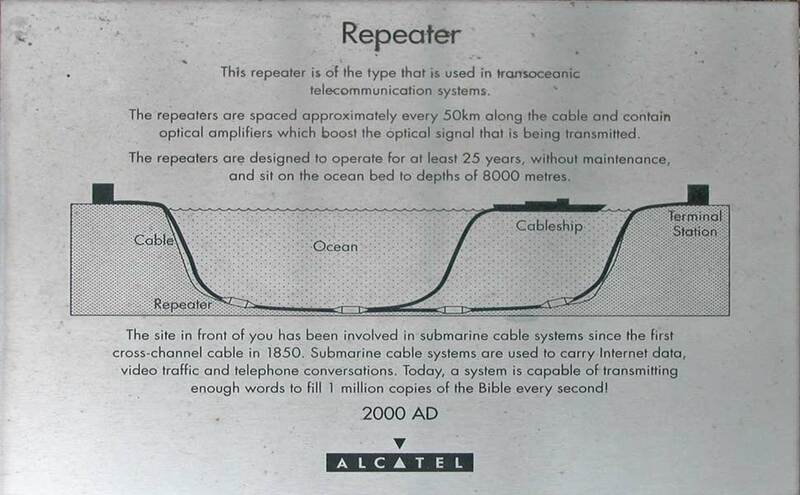 Today, a system is capable of transmitting enough words to fill 1 million copies of the Bible every second! 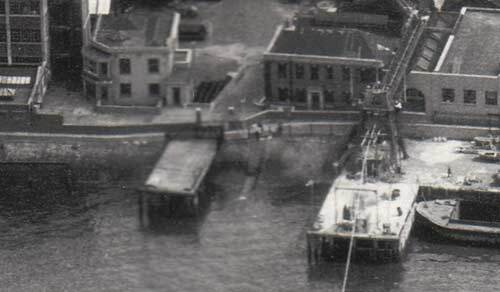 Above: Aerial view of Telcon from Marsh Lane, circa 1930.